Typical of the rehab work performed on the former C&NW Sheboygan Falls/Plymouth branch is this new culvert between Bridgewood Road and County M. Track, which had been out of service since the mid-1980s, was removed down to the subgrade and completely rebuilt. The line is now owned by the state of Wisconsin, and is operated by Wisconsin & Southern. Service to Sheboygan Falls resumed in November, 2015, and is generally provided twice a week. 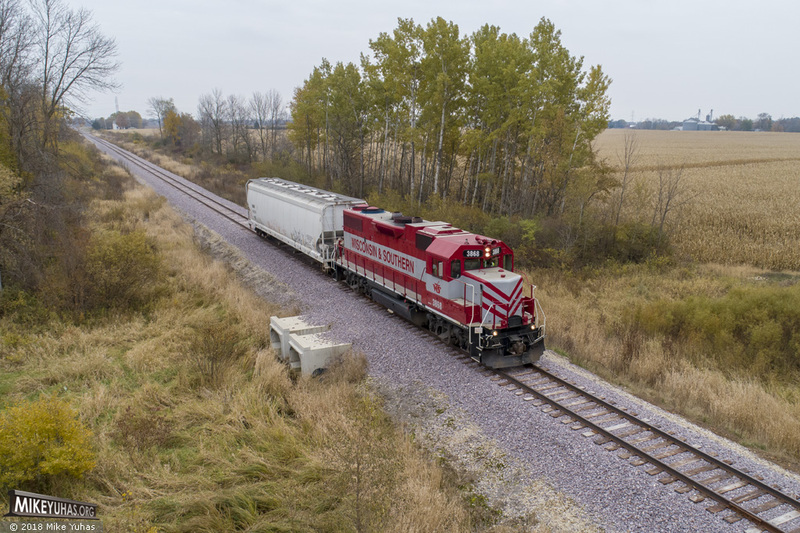 In this photo a L243 train has completed its work in Sheboygan Falls and is headed back to Plymouth with 1.